Ever since my family and I tried matcha green tea during a traditional tea ceremony a few months ago, we’ve been hooked. The flavor was super strong but it had a unique taste that we just couldn’t get enough of. I started to order matcha green tea drinks at chain coffee shops but it wasn’t the same. So, I decided to go online to see if we could make it at home. I didn’t know anything about different grades of matcha green tea at first. I had to read A LOT of reviews to figure out which powders to buy. It was no easy to task to find out which products offer the best quality for the lowest cost. There are two grades of matcha green tea — ceremonial grade and culinary grade. The one we had at the tea ceremony is referred to as, well, ceremonial grade. This one has a bright green color and is carefully raised in the shade to pull out the best flavors. It’s pure and doesn’t have a bitter or earthy taste. 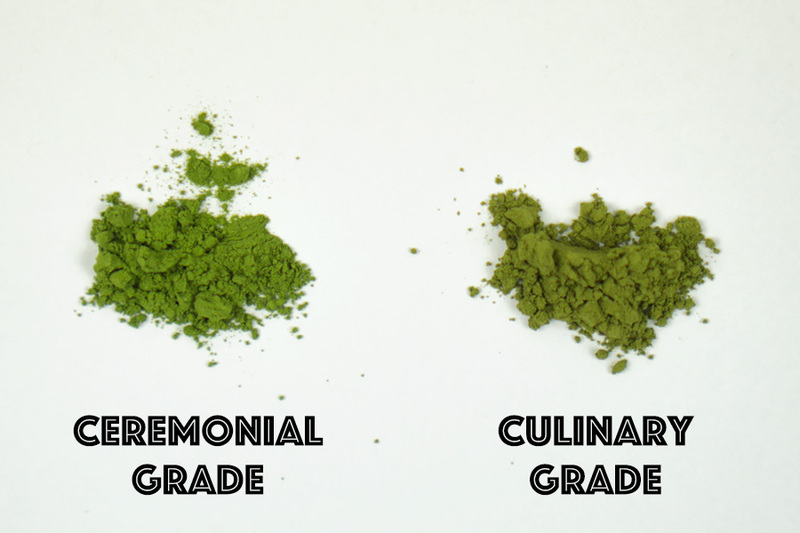 If you want to drink matcha tea straight, this is the best kind of grade to get. Frans prefers the raw flavor so we decided to get a small container of ceremonial grade for him. Keep in mind that this type of matcha green tea is pretty expensive. But, a small 1 oz. tin can actually last quite a while since you don’t have to use much of it. 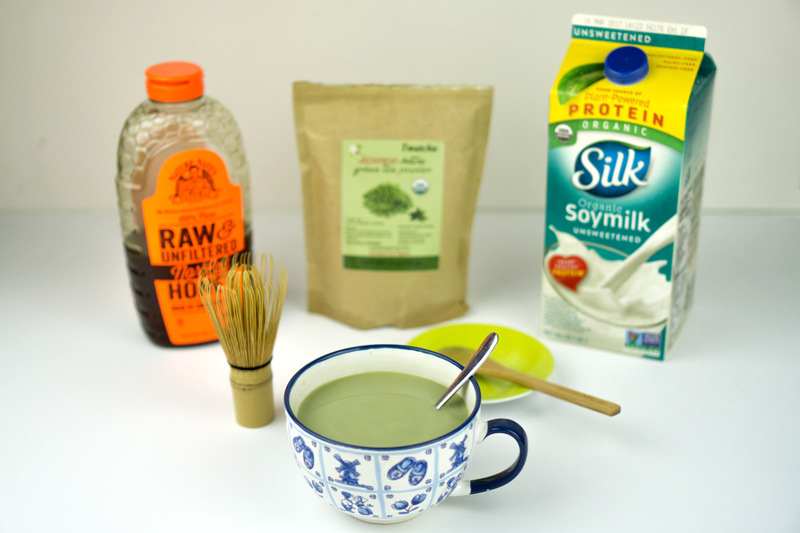 Munchkin and I like to add honey and milk to our matcha tea drinks (soymilk in my case due to an allergy to dairy). So, we don’t need the uber expensive top quality ceremonial grade tea. Instead, I use culinary grade matcha green tea. The color of this tea is more muted as it can contain some other parts of the plant including some branches. It is also a bit more bitter. But, when you use it for lattes, smoothies, or for baking, you can’t tell at all. Plus, it’s not as expensive so you can get more for the same price. 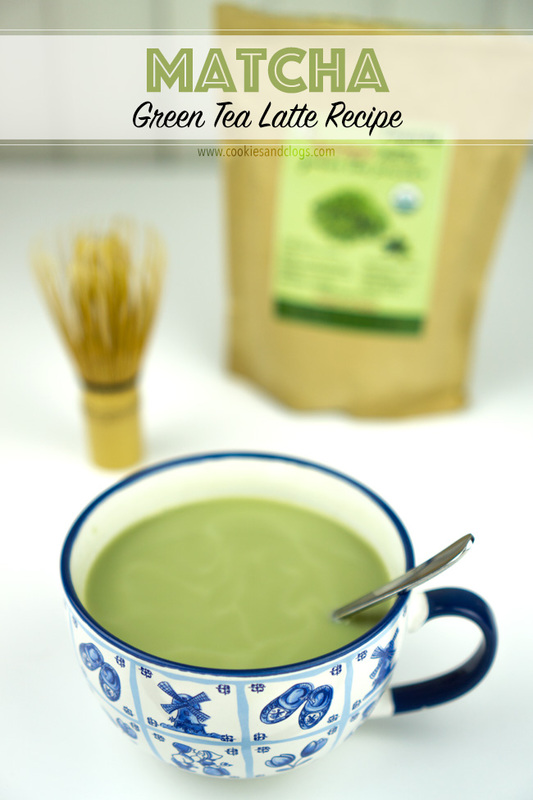 The basic preparation of matcha green tea is the same for both grades. Just put some powder in, add a little hot water, whisk, then fill the cup with more hot water. The whisking is important because that’s the best way to mix the powder in smoothly. Plus it gives it a nice little froth. I bought this set to prepare our tea. 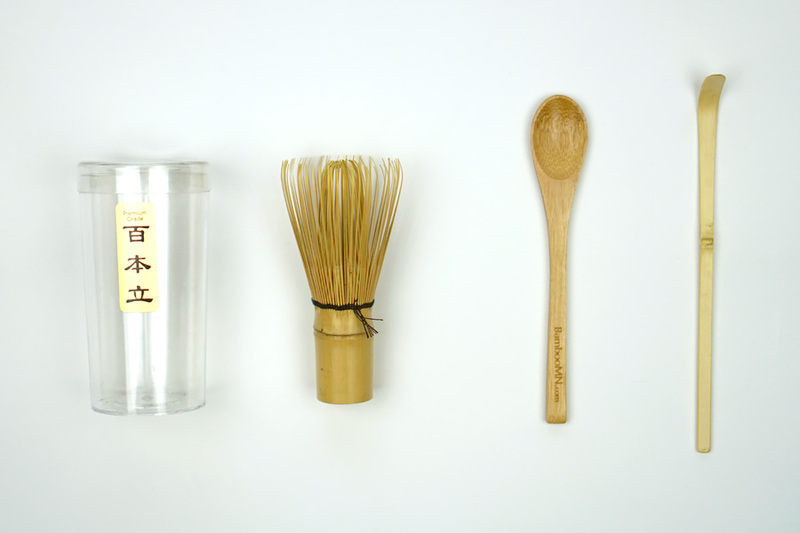 It includes a chasen (bamboo tea whisk), chashaku (Japanese hooked bamboo scoop), and spoon. Here are some basic recipes to help you get started, though. Feel free to adjust the measurements to fit your tastes. Put the matcha powder into a cup. If using a chashaku (Japanese hooked bamboo scoop), add three heaping scoops of the powder. Add a small amount of hot water to your cup, just enough to create a paste, and whisk rapidly to dissolve powder. Pour the rest of the hot water in, mix, then enjoy. Put the matcha powder into a cup. Add a small amount of hot water to your cup, just enough to create a paste, and whisk rapidly to dissolve powder. Pour the rest of the hot water in. Add honey to taste and stir. Finally, pour in the milk, mix, and enjoy. If desired, you can heat the milk first so your tea stays hot. To make this into an iced beverage, use extra matcha green tea powder in the beginning and pour finished blend over ice. The ceremonial grade matcha green tea we bought was this one from Matcha Moon. It’s smooth, has a good color, and isn’t bitter. To preserve flavor, put the tin in an airtight container and refrigerate after opening. For the culinary grade matcha green tea, we use an 8 oz. bag from Tmatcha. This one is more bitter but, when added to recipes or lattes, it’s noticeable and still has a smooth flavor. Both items are from Japan and are unsweetened. Keep in mind that matcha tea has a ton more caffeine than coffee. And, while there are health benefits of using matcha green tea, too much isn’t good either. So, make sure you don’t overdo it. We tend to drink it only once a day or less. The flavor is so unique and it’s a nice change of pace from other drinks. Making it at home helps us save money in the long run and we can customize it as much as we want. Do you like matcha green tea? Thanks for sharing Teri Ann! This looks so yummy!